NEW DELHI: Sports Gaming platform, Dream11 has announced the expansion of its leadership team with the appointment of Vikrant Mudaliar as Chief Marketing Officer. Vikrant will be responsible for driving Dream11’s marketing and brand strategy and further strengthen its leadership position in the online Sports Gaming industry. One of the biggest names in Indian marketing, Vikrant Mudaliar has led some of the best-known brands in the country over the last 17 years. He joins Dream11 from Yatra.com, where, as the Chief Marketing Officer, he led marketing activities across all of its business-lines and group entities. Vikrant has vast experience in varied aspects of marketing, sales and strategy functions across diverse sectors including e-commerce, media & entertainment, automobiles and consumer goods. Before Yatra, he was the Vice President – Brand Marketing at Tata Sky, where he was instrumental in making the brand a category leader. 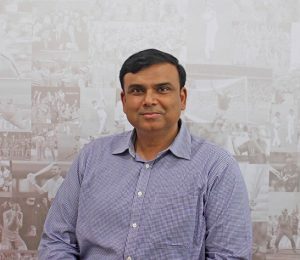 He has also been associated with Lenskart, General Motors India, Jumbo Electronics Dubai and Pepsi Foods Ltd.
Vikrant will be based in Mumbai and report to Harsh Jain, CEO, Dream11.